Travel Agent Ava: Do You Know What Customers Want? As a travel agent, you love travel and understand the industry and your niche. You read blogs, books, magazines, and newsletters and attend conferences. You finally launch your travel agency and what happens? No one calls, or books travel through your website. No interaction on your social media networks. It’s enough to send you on an extended vacation, and wipe out your motivation to keep marketing your business. 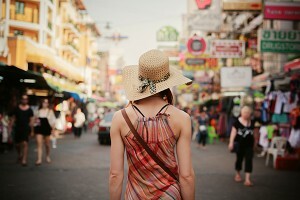 Believe you need to devote another 20,000 hours to studying about travel. Probably not. The solution may easier than you expect. Researching less and removing the pressure you’ve placed on yourself along with knowing what customers really want from travel agents could be all you need to do to attract and retain clients. If a customer calls you, smile when you answer the phone and throughout the conversation. It’s been longed believed in sales that smiling can not only put you at ease but the customer as well. Keep your voice steady and avoid being monotone because this will convey that you’re bored and not interested in what your customer is saying. Annunciate your words and be enthusiastic. Service with a smile can help you attract and retain customers. you’re familiar with the place they want to visit. For example, if you specialize in travel to Australia and New Zealand you may want to visit the countries, if you haven’t done so already. You may also want to read books about Australia and New Zealand and attend seminars, teleseminars, and webinars about them. The more you know about your niche the better you can serve your clients and provide them with a better travel experience. Next to insight, customers want a travel agent who is knowledgeable in pricing and products. To position yourself as an expert, you’ll want to stay up to date with your niche. Remember, you have to market your travel agency. Brochures and websites are great marketing tools. But you and your understanding of the travel industry are your best and most valuable assets. You may consider getting a CTC, CTA, DS, MCC, or ACC certification. These show customers you’re someone who has made a financial investment in themselves and their business. Who doesn’t want a great travel deal? No matter if your client wants to book a two-week Alaskan cruise or explore the countryside of Spain, provide them with the best travel deals their money can buy. Keep in mind that clients can easily book their own travel online. However, you can provide value by helping them find the best options at the right price. You know the travel industry inside and out, they do not. Most people expect you to have a website. If you become a member of Travel Planners International, one of the best host travel agencies, you may have a website via Agent Studio. If you have a blog, it will be a great way to provide clients with helpful information from how to pack a suitcase properly to the benefits of booking with a travel agent. Great content and service will keep customers coming back to your agency. Choose one or two social media networks and master them. Keep in mind that all networks are not created equally – they have different rules, from image dimensions to the best times to post. The key to social media is to be social. Don’t be sales-y or pushy. Have a conversation and build a strong, engaging community that wants to connect with and book travel with you. You want to build and develop trusting relationships with clients by focusing on serving them the best way you know how. Be empathetic when they tell you they need to book a flight home for a parent’s funeral. Be enthusiastic when they tell you they’re getting married and want to plan the perfect honeymoon. Answer their questions with confidence, especially if they’re concerned about safety and security. Become the ‘go to’ travel agent they’ve been looking for. Having a travel agency that doesn’t grow is a letdown. Particularly when you love what you do and know you can help people have the time of their lives whether they visit Paris, France or San Diego, CA. 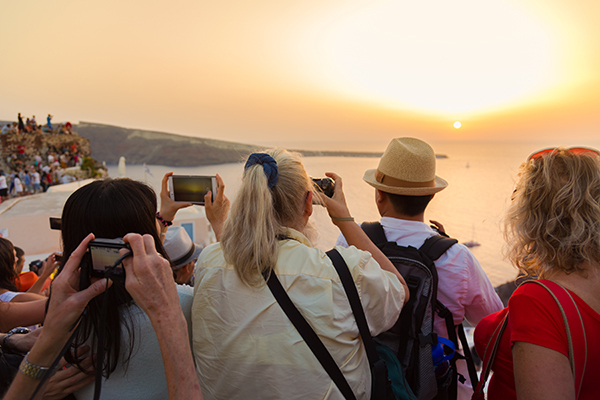 Knowing what customers want from travel agents can have dramatic effects on your business. Just picture yourself in your home office – with the phone in your hand speaking with a potential client. Imagine how you feel when you help someone plan their vacation; you have a great time booking their travel. Visualize yourself getting a ‘Thank You’ note because you made your client’s experience one they will never forget. To begin, re-read the seven things customers want from travel agents. Try to implement one of the solutions every day. Practice makes perfect. You could soar to new heights in your travel business overnight. Sound good? We think so. Contact Travel Planners International and start growing your travel agency.